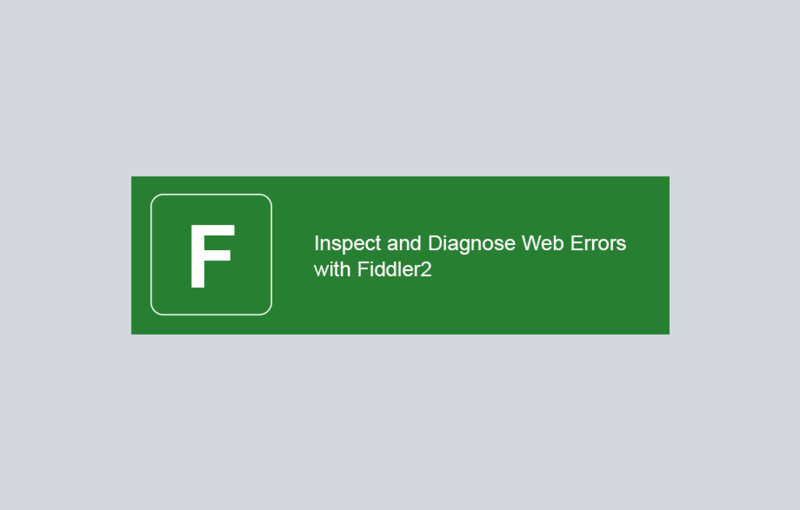 How to Inspect and Diagnose Web Errors with Fiddler2 and click on the ‘Free Download’ button. We chose the ‘Fiddler of .Net4’ option. Walk through the setup process, it is very straightforward, then launch the application. You should initially see a screen like this. At first glance, this can be a lot to take in, but we will go through some of the basics. On the left hand side, we have the Web Session List, which displays information about each request from your web browser. Let’s look at a few of the columns in the Web Session List. # - These icons represent the type of file being accessed. Host – The hostname of the server that is being requested. If you look at the line, where the red arrow is pointing, you will notice that the Host is the same as the URL you typed in. This is the initial call to the web server. If you look below it, you will see separate calls for different items like pictures and fonts. These separate calls happen behind the scenes and you would never know they were occurring if not for Fiddler. Now click on the line for the initial call and you should see the right-hand panel change. 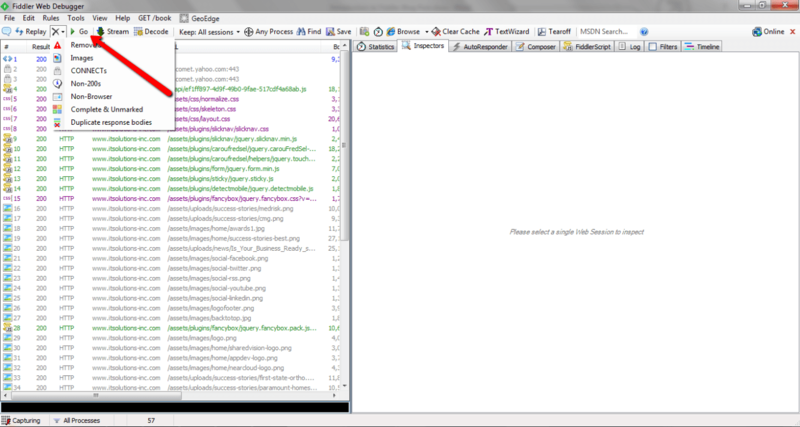 On the right hand side, we start off with the Inspector tab already selected. 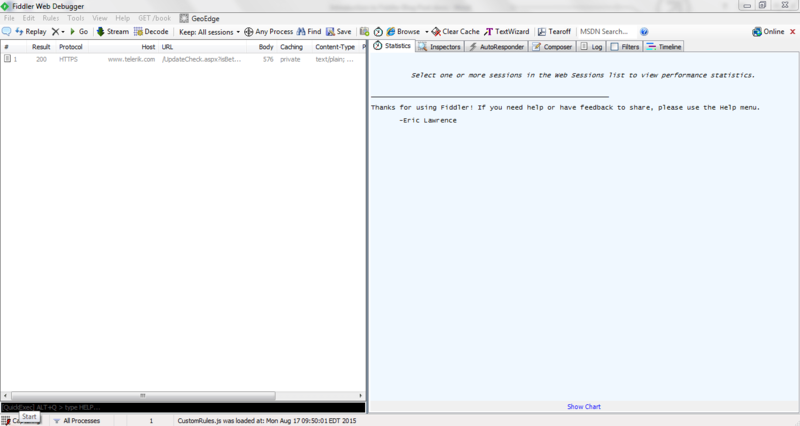 You can see the Request Header on the top; and at the bottom you can see additional data about the Response. Here is some additional information about some of the other tabs. 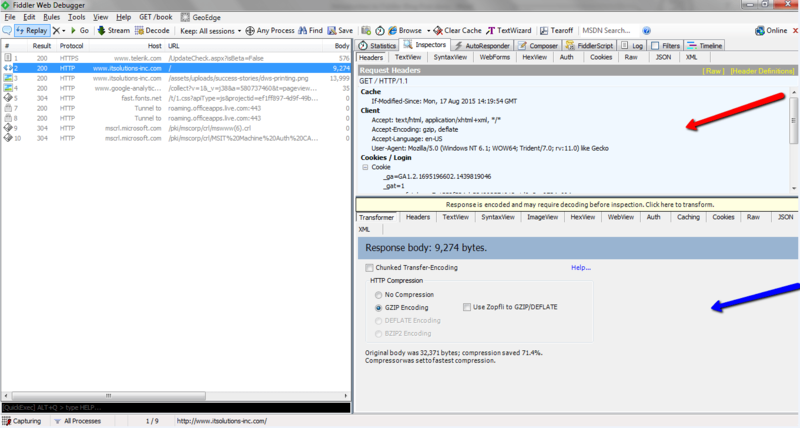 Inspectors: Allows you to see the details of the HTTP request and response. Within this tab, there are a lot of sub-tabs. TextView: Shows the body of the response in plain text. Raw: Show the entire response. 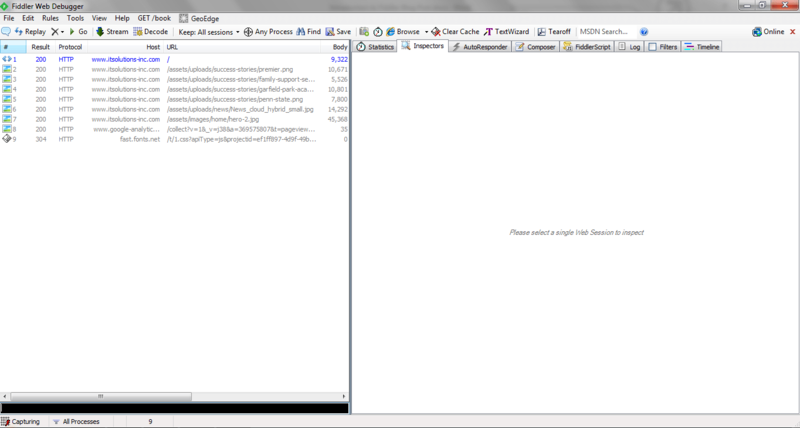 XML: Shows a collapsible XML browser view. Statistics: Includes information like bytes sent and received and a breakdown of how big the header versus the body. It also includes rough estimates of download times from around the world. Filters: Allows you to filter what you see in the Session List. You can filter by a lot of different criteria, for example, host, process id, or if the traffic is coming from the internet or intranet. 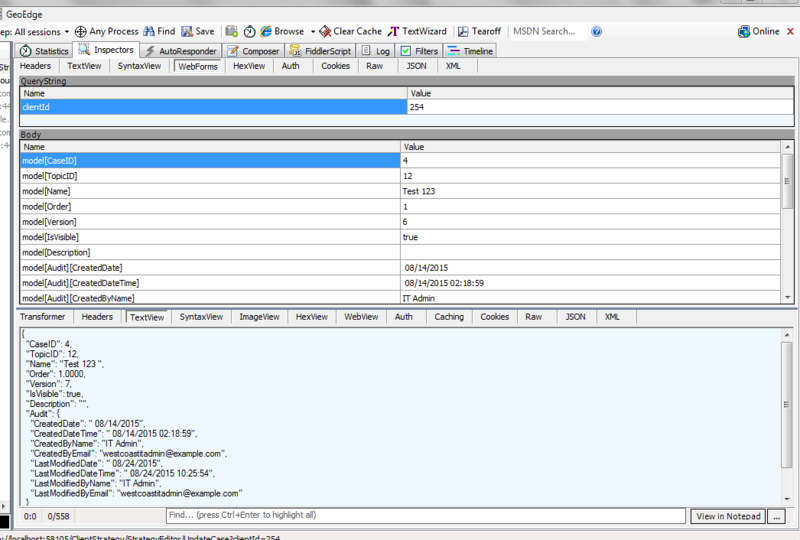 Last example, suppose we have an application that makes an AJAX call to a server. In this instance, it sends information to the server to be saved. Imagine you are working on a change to the application but cannot figure out why a specific value is not updating. If you look at the picture below, we can see what a response to an AJAX call looks like. You can see in the top section, we have the Inspector tab and the WebForms sub-tab selected. 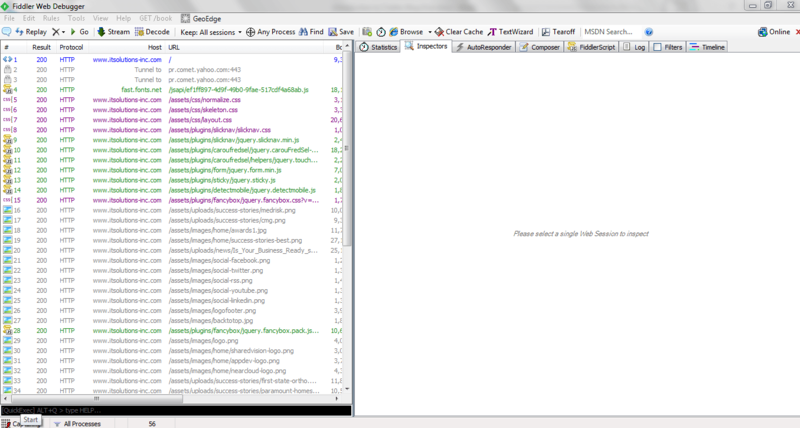 This shows us the information that was sent to the server from the web browser. Below that, in the response, we see the data that the web server sent back to the client. Here we can see exactly what is being passed up and down the pipeline and it can help us pinpoint where problems are occurring. Fiddler2 is a tool that acts like a special proxy server between your computer and a website. It is probably the most popular debugging proxy out there. It basically works by your web browser sending HTTP or HTTPS requests to Fiddler which then forwards them to the web server. Fiddler also captures all of the web server’s responses. It then allows you to dissect all of the information that is passed back and forth. This can be extremely useful when developing or trying to troubleshoot bugs where you are not sure what is being passed back and forth. 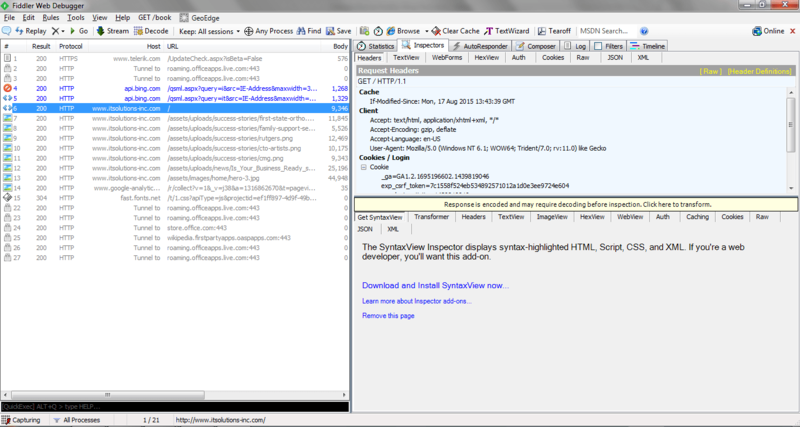 Go to http://www.telerik.com/fiddler and click on the ‘Free Download’ button. We chose the ‘Fiddler of .Net4’ option. Walk through the setup process, it is very straightforward, then launch the application. You should initially see a screen like this.